Bitcasa is a cloud software company that is transforming the drive. By providing secure APIs and white label storage applications for OEMs, network operators, and software developers, Bitcasa helps the device economy create deeper relationships with their customers by providing secure file storage, access, & sharing services for partners across all major platforms, including Android, iOS, Windows, Mac OSX, Linux, & the Web. 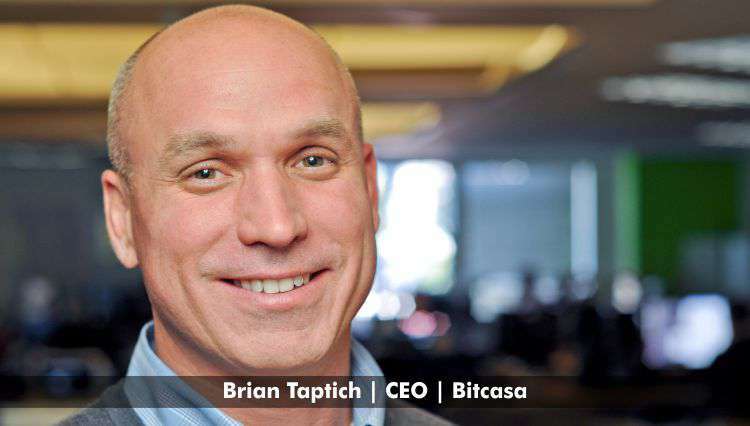 In 2013, Brian Taptich became CEO of Bitcasa, after working as VP of International at Zynga, where his expansion strategy generated over $300 million in growth. Prior to this, he worked with several media companies like BitTorrent, Electronic Arts, & Red Herring Communi- cations. Taptich has an MBA from Northwestern University and a BA from Williams College. Taptich shared the two biggest challenges he faced in his first two years at Bitcasa. The first was making the operational changes required to shift gears and become a services platform, and the second was to overcome the lack of industry knowledge concerning the advantages of Bitcasa’s architecture as a virtual drive versus standard local sync solutions. As a virtual drive, Bitcasa frees up space by storing all data in the cloud and allowing access from any device, as opposed to sync solutions that replicate files across devices which quickly fills them up. By leveraging Bitcasa’s underlying virtual drive technology, Taptich has transformed another run-of-the mill consumer cloud storage company into a partner-facing platform of APIs, applications, & proprietary analytics. The change was in part driven by increasing interest from developers across the device economy who wanted to integrate the virtual drive into their own products and services. Bitcasa invested most of 2014 in making the organization & technology changes required to open the platform up to global partners in a way that allows them to seamlessly extend their brands while maintaining ownership of their customers and all related data. Today, the company is focused on delivering storage software solutions to OEMs, carriers, & ISVs. It has a growing roster of partners, including Hutchison Telecom, who has made cloud storage a line item in their wireless plans, as well as over 23,000 developers, who utilize Bitcasa’s APIs. Bitcasa’s virtual drive has also laid the groundwork for going deeper into the technology stack in a way that sync solutions cannot. With a driver coming out this Fall that will enable OEMs to make cloud storage a device setting as opposed to an application that requires separate registration and configuration, Bitcasa will further eliminate user friction and OEM reliance on local storage. Taptich is well on his way to achieve his vision of transforming the drive.